Australian Chestnuts are unusual in that the crop falls naturally to the ground when mature. 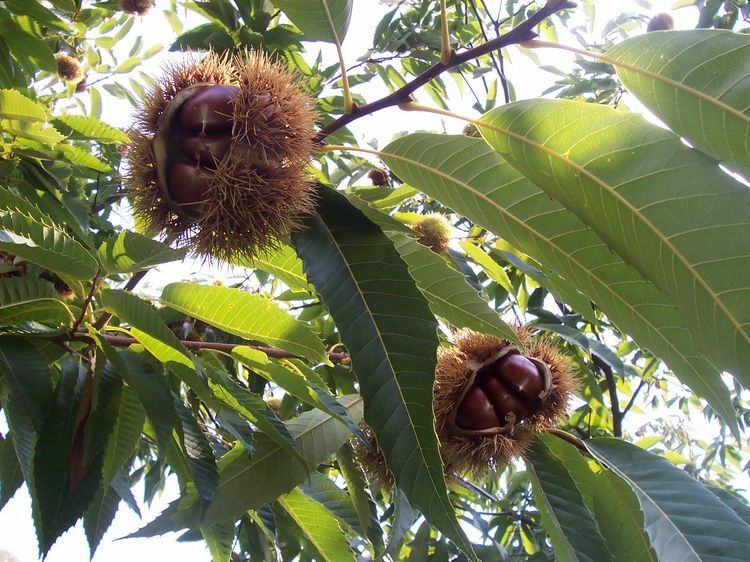 Growers need to harvest the Chestnuts within two days of them falling. The prickly burrs are vacuumed, swept or picked up by gloved hands, the outside casing is removed, to release 2-3 glossy brown Chestnuts that are then graded by variety into seven sizes (ranging from 20 mm to 41 mm in diameter), washed ready for sale. Chestnuts are grown in areas that are hot in summer and cold in winter and preferably 800 meters plus above sea level. 75% of Australian chestnuts are produced in North East Victoria around the townships of Beechworth, Stanley, Bright, Mt Beauty, Wandiligong and Myrtleford. 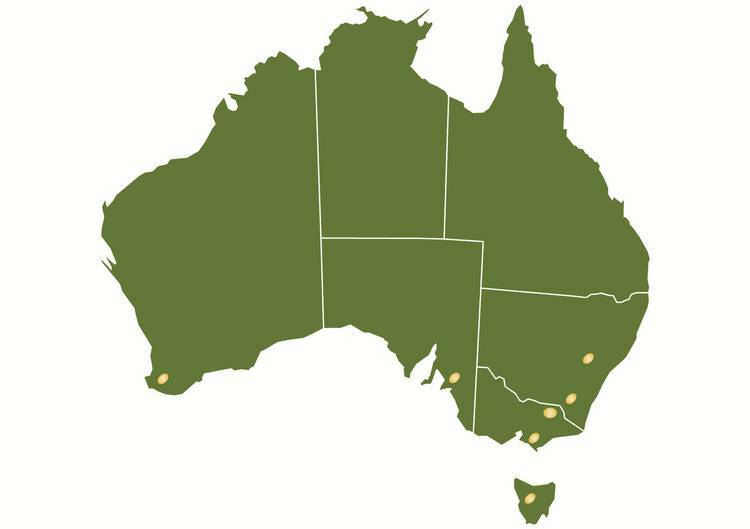 The remaining crops are grown east of Melbourne, Batlow, Orange, Tenterfield, the Southern Tablelands in NSW, the Adelaide Hills in SA, South West Western Australia and throughout Northern Tasmania. Chestnuts were first introduced to Australia by migrants during the 1850’s gold rush. The arrival of Greek and Italian immigrants after World War II saw plantings increase. 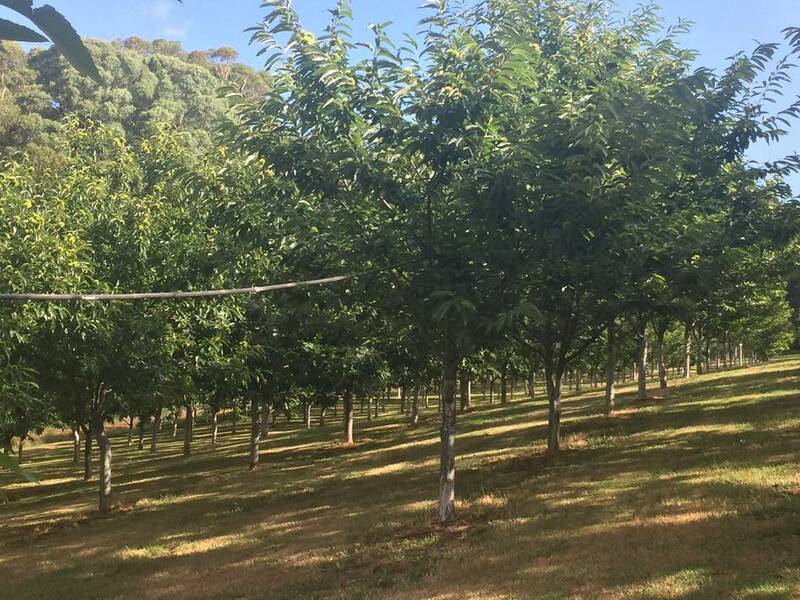 The commercial Chestnut industry has been established since the 1970’s and there are approximately 300 Chestnut growers across Australia. Where are chestnuts grown grown in Australia? 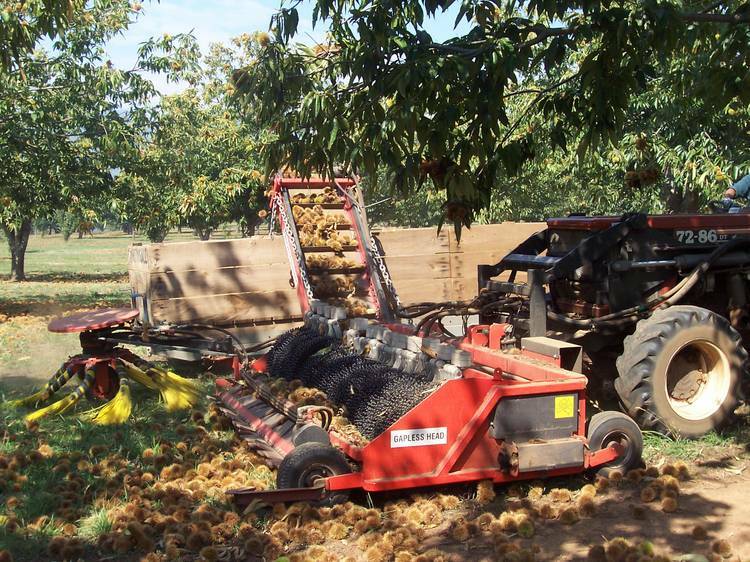 Australia produces approximately 1,200 tonnes of fresh Chestnuts per season. Australian Chestnuts are available from mid-March to July. Bouche de Betizac – a large early season nut, sweet flavour, easy to peel. Red Spanish – a large Japanese style nut, best boiled or steamed. De Coppi Marone – mid to late season nut, the best roasting nut. easy to peel with a rich sweet flavour. 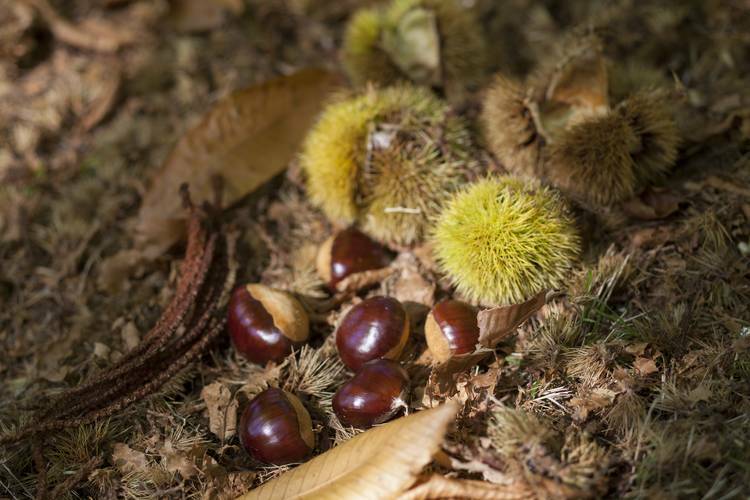 Purtons Pride – late season sweet Chestnut, easy to peel. Great roasted, boiled or steamed. Versatile all-purpose nut. Ready to use peeled and frozen Australian chestnuts, along with other Australian chestnut products, including vacuumed packed cooked and peeled chestnuts are available online and from selected stockists year-round, when fresh chestnuts are out of season.